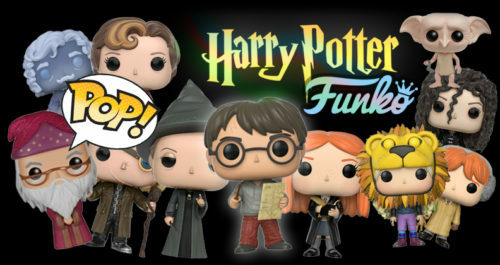 A checklist and complete image gallery of ‘Harry Potter’ and ‘Fantastic Beasts’ Funko Pop! Vinyls. A collection of original Harry Potter themed avatars, graphics, icons and animations. A collection of great holiday/Christmas gifts: everything ‘Fantastic Beasts’, ‘Cursed Child’, HP books, films, apparel, toys and more! 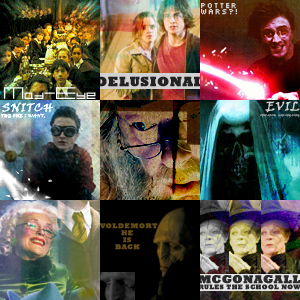 Take a trip down memory lane and explore every movie poster used to promote the eight ‘Potter’ films. Create the iconic Harry Potter logo with this Photoshop tutorial. A list of actors, actresses, organisations and miscellaneous folk related to the Harry Potter franchise to follow on Twitter. A collection of Harry Potter themed fonts. Learn about and listen to music from the Harry Potter films and learn some of the main themes on piano. Learn about the various DVD releases, ultimate editions and collections. Pictures from two Harry Potter spoofs featured on The Simpsons. A collection of desktop wallpaper from Harry Potter and the Deathly Hallows. A collection of Harry Potter themed desktop wallpaper. Download and print official Harry Potter bookmarks. Stretch the imagination (just a little!) and take a loot at our Harry Potter emoticons. Ask Professor Trelawney a question and receive an overdramatic answer. Sit down, place the Sorting Hat on your head, and let your Hogwarts initiation begin!